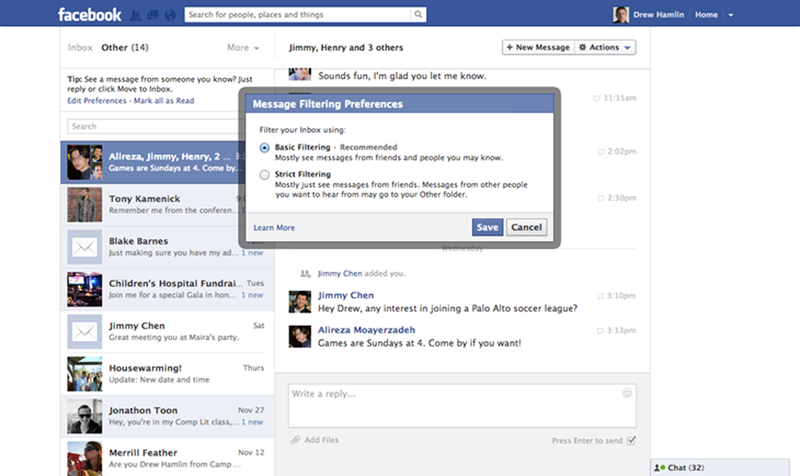 Today Facebook is adding a couple of new settings for messages to make sure you see the ones you need to see. And it's also testing a system where you pay a buck to ensure someone you aren't friends with reads a note you sent. Ugh, hopefully that test fails. Anyway, there are two new options for messages. First is basic filtering. With that you get the messages written by your friends and people you might know, like mutual chums. The more stringent option is strict filtering, which only lets messages from your friends get through the gate.